I still can’t believe that fall is already here, where has the year gone?! One thing that goes hand in hand with fall is Pumpkin Spice flavored everything. 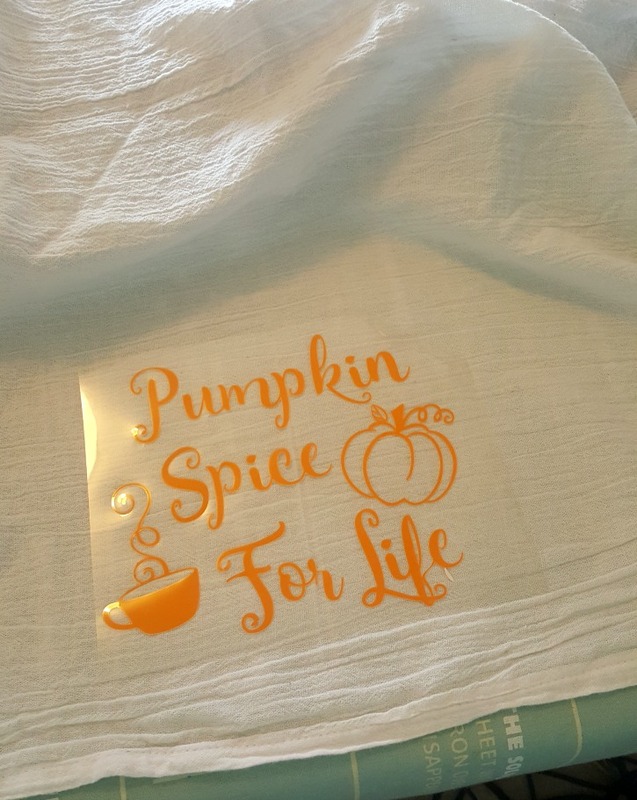 I figured since many of the foods in your kitchen are now Pumpkin Spiced, why not have a towel to show off your devotion to this yearly tradition. I started with a pack of White Flour Sack Towels. I like the size of these towels, and they are great for simply hanging off the front of the oven. The design is made with Orange Heat Transfer Vinyl that I cut with my Silhouette Cameo. I created this design in Silhouette Studio, if you want to make it yourself, the file is offered below. Heat Transfer Vinyl is one material that I test cut EVERY SINGLE TIME. Normal vinyl I have an idea of how to cut it, but Heat Transfer and I don’t always get a long. I also recommend double cutting, it makes weeding so much easier. Each Heat Transfer Vinyl brand has its own instructions for application, so make sure you follow those directions for temperature, time, and whether or to peel hot or cold. I used an iron to make this (because my heat press has been sitting in my garage unopened for almost a year, I’m kinda scared of it). The one downside to using flour sack towels is that they have natural creases which can make it a little bit more difficult to apply the vinyl. I ironed the towel a little bit to smooth out a few of the wrinkles before applying the design. I really like using an ironing mat because I can iron on my desk and don’t have to store a separate ironing board. I think this kitchen towel turned out great! I already have it hanging on my stove to add a little bit of fall decor to my kitchen. 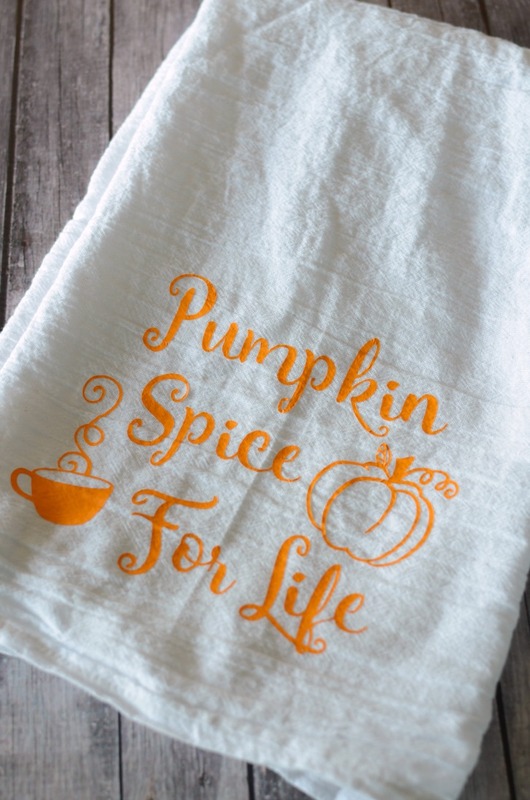 Make sure you pick up your own Pumpkin Spice For Life Design here! File provided for personal use only. 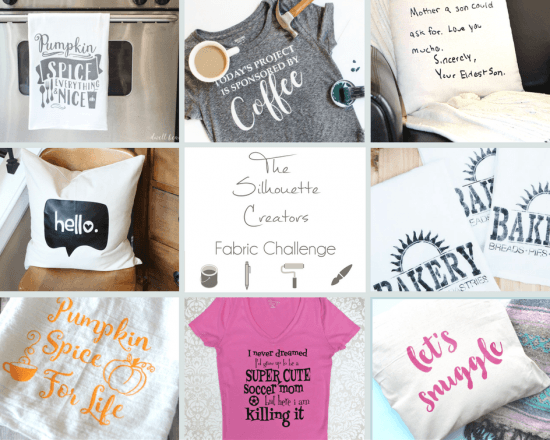 I’ve also teamed up with some awesome Silhouette crafters this month to have a little online crafting party. Make sure you check out all of their projects below! Very cute! Especially since EVERYTHING is pumpkin spiced right now! So cute!! Love pumpkin everything! I agree with Pumpkin Spice for Life! Cant get enough of it :) Love your design, I will be making me one just so I can use it. I think these are so cute! 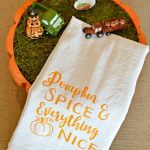 What a great fall themed towel! Thank you for joining the hop! Pinning! Cute! I love the color, too! 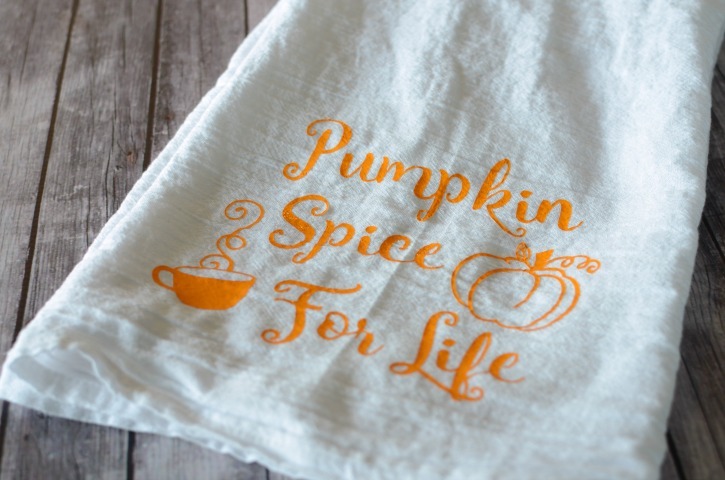 So nice and lovely, I love pumpkins spice in everything and it just makes me happy, so having one of these cuties hanging in my kitchen would be perfect!! have a lovely Sunday! I need this in my kitchen! So cute! 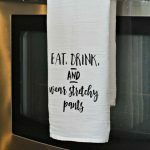 Love the design on your kitchen towel! We just made some towels with iron on vinyl- so fun! 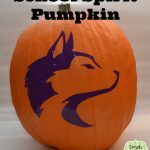 Awesome and very festive especially for the fall. It still feels a bit like summer here, so I can’t wait for the fall weather to finally come. 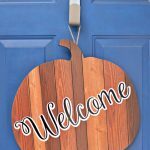 Thanks so much for sharing this with us on #shinebloghop this week. Have a great Thursday! I need one of these in my kitchen! Thanks for sharing at the Inspiration Spotlight party. Pinned & shared. 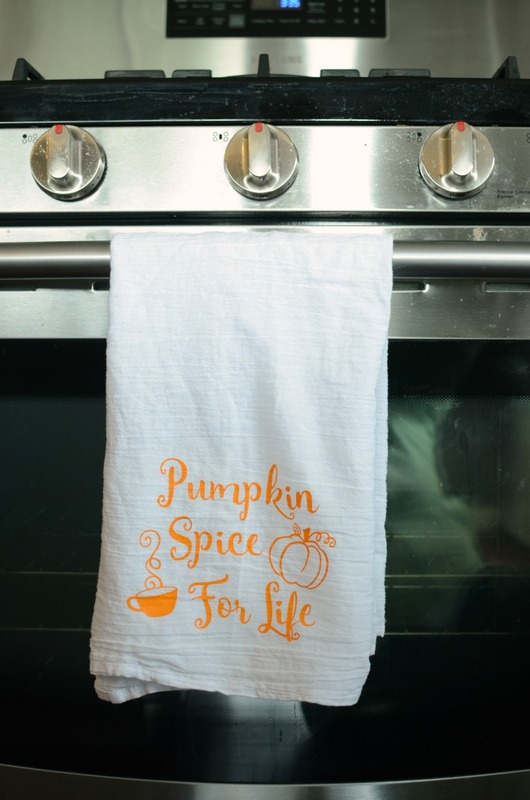 What a fun kitchen towel for Fall! I love pumpkin spice, too. Thanks for sharing your craft with us at the #HomeMattersParty this week.